Parkfield Community School in Birmingham is an inner-city, much larger than average primary school, with 768 pupils aged from 3 to 11. More than a third of its pupils qualify for pupil premium, which is well above the national average. Almost all pupils come from a wide range of minority ethnic groups, with just over half of Pakistani background, with the vast majority using English as an Additional Language. The number of SEN children is also above average and the school also makes provision for pupils excluded from other schools because of behavioural, social and emotional difficulties. In March 2015, it was awarded a £100,000 prize for winning the primary category of the national Pupil Premium Awards (PPA) which recognise schools that have made the best use of the money allocated to them under the government’s pupil premium policy. We have always taken a robust and systematic approach to identifying the challenges our pupils face and the impact that these challenges have on their learning. As the PPA judges recognised, we exhibit a relentless focus on closing performance gaps – tracking, measuring and tackling gaps based on pupil premium as well as ethnicity, cultural background and gender – and have made significant progress in doing so. While focussing on academic achievement, we place equal importance on wider work such as encouraging aspiration in our pupils and engagement from their parents. Many of our pupils face specific barriers, linked to their cultural context. Located within a predominantly immigrant community, many parents have English as a second language, or have other language difficulties making them less able to support their child’s learning. So we wanted to offer parents learning opportunities too and engage them in their child’s learning so that they were better able to provide support at home and therefore contribute to the higher attainment of their children. We also know that many of our pupils live in overcrowded accommodation and that access to a computer and other resources such as time, space, pens and paper may be in short supply at home. Thirdly, and as Andreas Schleicher of the Organisation for Economic Co-operation and Development (OECD) has said recently, we know that ‘good numeracy is the best protection against unemployment, low wages and poor health’. The links between maths skills and life chances are compelling. For example, people with poor maths skills are more than twice as likely to be unemployed and, where they are employed, recent data by the OECD shows a direct relationship between wage distribution and numeracy skills. OECD and UK basic skills reports show a clear correlation between poor numeracy and poor health; and data from the British Cohort Studies have shown that there is also a link between depression and poor numeracy. Pupils beginning secondary school with very low numeracy skills but good literacy skills have an exclusion rate twice that of pupils starting secondary school with good numeracy skills. 14-year-olds who have poor maths skills at 11 are more than twice as likely to play truant. Then, should further proof be necessary, we know that a quarter of young people in custody have a numeracy level below that expected of a 7-year-old, and 65% of adult prisoners have numeracy skills at or below the level expected of an 11-year-old. Finally we know that around 90% of new graduate jobs require a high level of digital skills (Race Online 2012), and digital skills are built on numeracy. That’s why we have a passion for maths at our school! We did lots of research before deciding which strategies to use. As well as involving ourselves with various university research projects, I conducted more informal interviews with pupils who were falling behind in maths and struggling with homework to identify their particular problems. These usually turned out to be difficulties at home when competing with anything up to eight siblings for computer access and a quiet time and place to complete their assignments. Armed with all this information, we embarked on a raft of strategies, key among them being to set up breakfast, lunchtime and after school maths clubs using Mathletics. This has significantly improved our maths results. Our pupil premium children are given first option to attend the breakfast club at 8.30am every morning, and other pupils can fill any remaining spaces. We run the club in our ICT suite which has 30 computers running Mathletics and combine that with a high level of adult support – typically four teachers and teaching assistants who support and guide the children in their work. We also use board games and have set up a maths games learning library. 80% have attended breakfast club regularly. 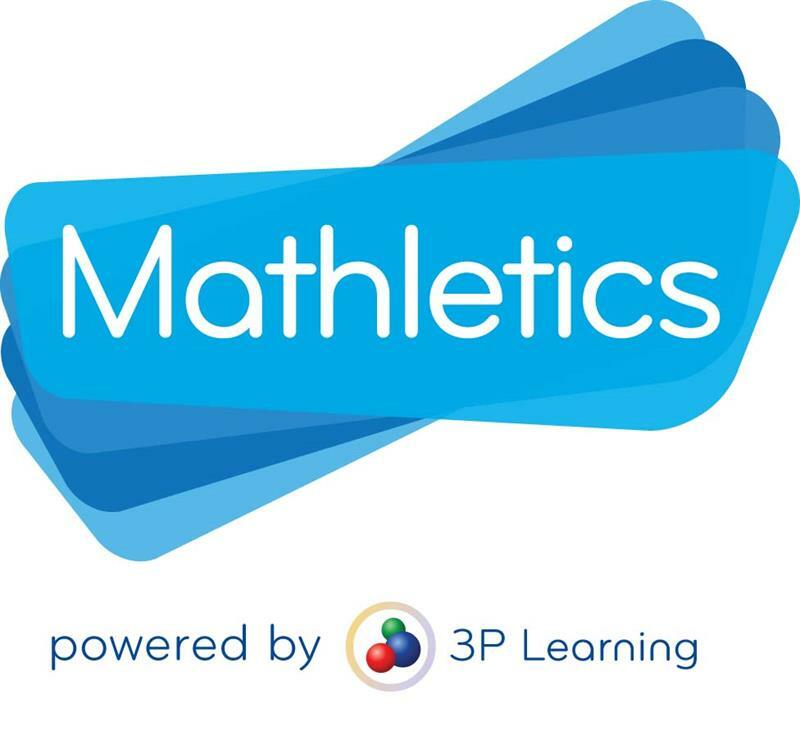 Further access to Mathletics is available at our lunch time and after school homework clubs and pupils can also use it on an ipad during registration periods. Because Mathletics is so engaging and fun, the children really do enjoy it and are keen to take up every opportunity there is to get involved. At our school, like many others, we especially like the ‘Live Mathletics’ option and find this is also a nice way in with teachers and parents too – everyone likes a competition! Our parents like the fact that the live maths brings up conversations about different countries and time zones – plus with many of our children having friends and family abroad they particularly enjoy having links with those countries. A real favourite feature of mine is the concept search dictionary – a function I often find is underused in other schools. With the new curriculum’s increased focus on maths vocabulary, it’s vital that children are up to speed – and this can sometimes be a weak area for teachers too. Certainly lots of parents don’t know what certain maths terms mean and used to ask us for maths dictionaries – but many of these are poor and inaccurate, as can also be the case using a search engine. But within Mathletics, not only do the children get a great explanation of what a particular term means, they are also directed to other areas of maths where it is relevant too. The support available via the help tab is also first class and the rewards systems are invaluable. As well as the incentives which are built in to the online activities, we make a big deal of certificates and give them out at weekly assemblies, along with other class and whole school rewards. We also love World Maths Day and it’s a huge event here, again involving parents as well. I am very proud to say that the outcomes have been stunning. As the PPA judges said, the evidence shows that extending school time – when used to deliver additional academic support that is stimulating – can be an effective approach. In 2014, 82 per cent of the school’s pupil premium pupils achieved the expected standard in key stage 2 tests at age 11. And 78 per cent achieved at a level above the standard (level 4b+), compared with the national average of 53 per cent. Pupils receiving pupil premium met their challenging target in maths – 80%, at the end of KS2. In year 3, our pupil premium children made more progress than non pupil premium children and achieved above the national average in maths. Our school is recognised as a local maths leader, having this year established a “maths academy” to work with other schools in the region to provide maths education to pupils, and continuing professional development to enhance teacher confidence in teaching maths. It’s great to have this dedicated space as a shining example of the high priority our school places on maths as a vital skill for life – we want children and adults alike to wonder at the beauty of mathematics. As well as all the teaching and CPD work that goes on in our academy, it’s provided a great space in which to run our parent workshops. Until now our use of Mathletics has been largely outside the regular school day – but our next plan is to use the resource more during lessons where it will be really helpful because it is mapped to the new, more challenging curriculum. Know every child – I am very aware that there are disadvantaged children who just miss the PP classification so I am continually looking to plug any gaps in maths which could be linked to disadvantage. Get some competition going between staff, not just the children – it really works!